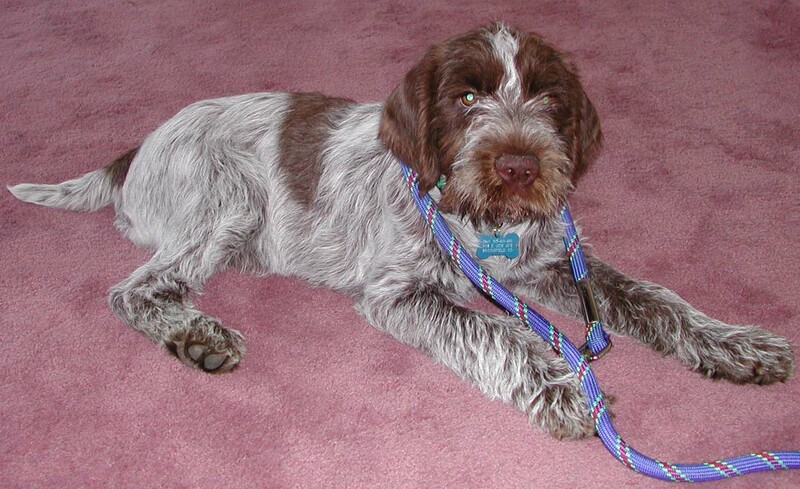 Search and adopt a Wirehaired Pointing Griffon near you. The Griffon has a quick and intelligent mind and is easily trained. He is outgoing, shows a tremendous willingness to please and is trustworthy. He makes an excellent family dog as well as meticulous hunting companion. The Griff's outgoing personality makes it a wonderful family pet and great with children. Overall, the Griffon is one of the best-kept secrets in the Sporting Group and is the ultimate hunting companion. Although the Griffon has a great love for the field and is an excellent swimmer, it is equally at home in the obedience and show ring. With its keen nose it is also a natural at tracking. Griffon-like dogs have existed throughout history, but exact origins are uncertain. The modern history of the breed, however, has been well documented. Dutchman Eduard Korthals was an avid hunter and desired a dog that could hunt over a variety of terrain, so he developed a breeding program to create a versatile new sporting breed. In less than two decades, Korthals had fixed the new breed he called the Wirehaired Pointing Griffon, wrote the standard and formed a Griffon club. The Griffon’s easy trainability, devotion to family, and friendly temperament endear him to all. He thrives on human companionship and prefers to be house dog. The breed’s wiry coat will not develop fully until the dog is about 2-3 years old and is maintained with regular brushing and stripping. This sporting dog needs plenty of exercise to keep it physically and mentally fit. AKC recognized in 1887. Size from 20 to 24 inches tall at the shoulder.